After a bit, Weegee tired of watching the police teletype machine and went mobile. He bought a car and was permitted to have a police radio. As soon as the action broke, Weegee was on the scene. Often, he was there before the police. His work was sensational, made so by his use of flash. By his estimation, he photographed 5,000 murders in his day. The mob was running strong and Weegee made his living documenting the carnage left in the wake. He also took a great deal of photographs of arrests being made, the perpetrators covering their faces. He was the original tabloid photographer and he was an original “noir” photographer. But Weegee was not just about the dark side. He loved New York City and the “regular” folks that lived there. It showed in his street photography, which is, unfortunately, somewhat lost in the glare left from his crime photos. His street work showed compassion for the everyman and the downtrodden, and it also captured the simple beauty found in the rough and tumble city. From children playing in the spray of a fire hydrant, to couples making out on the beach and in the theater, to drunks passed out on the curb, and to poor families sleeping on fire escapes of tenement housing, Weegee showed his love and his fascination with the city. His bread and butter may have been the tragedies, but his first love was the city itself. You can see it in his work, for sure. Fellig is a fascinating character, to say the least, and I’ve only briefly touched on his fantastic career and life. 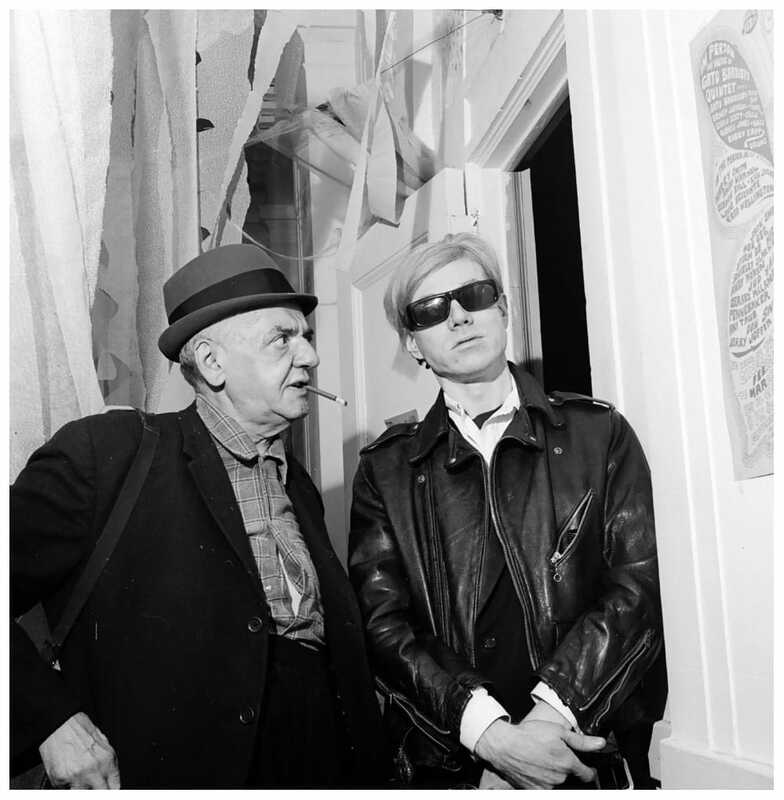 And he was indeed influential, inspiring photographers and artists like Diane Arbus and Andy Warhol. Weegee use of flash in the night, for that “noir” feel is something I’d like to explore, but something else that he practiced really hit home. Something ridiculously simple, but oh so important in Street Hunting. Be prepared. It’s that simple. Don’t know what blitz is? Well, it’s like a fried crepe stuffed with goodness. And trust me, they’re best hot. Being prepared is key. For example, look at how Weegee was prepared. When he made the switch to freelancing and began operating out of his car, he basically had a mobile darkroom set up in his trunk! It’s been said he set it up so he could get the photos to the papers as fast as possible. He also kept spare cameras, flash bulbs and a typewriter in that trunk. The man was ready for anything, anytime and being mobile, anywhere. Even though Weegee’s mobile setup was primarily for his photojournalism work, the same idea of preparedness can be applied to street photography. On a Street Hunt, we’re almost surely prepared. Extra battery, film, storage card, etc. But what about everyday? I’ve now made it a habit to always have a camera within a few feet of me. Beside the obvious, the phonecam, one of my Sonys are always nearby. When I’m driving, alone, the camera rides shotgun. I’ve shot more than once while stopped at a red light, and got a shot. The fact is, you never know when an opportunity will present itself. The world carries on outside of our Street Hunts. It doesn’t stop, and neither does the opportunities. And preparedness goes beyond the tools we physically hold. It applies to our eyes, as well. Always be on the lookout. 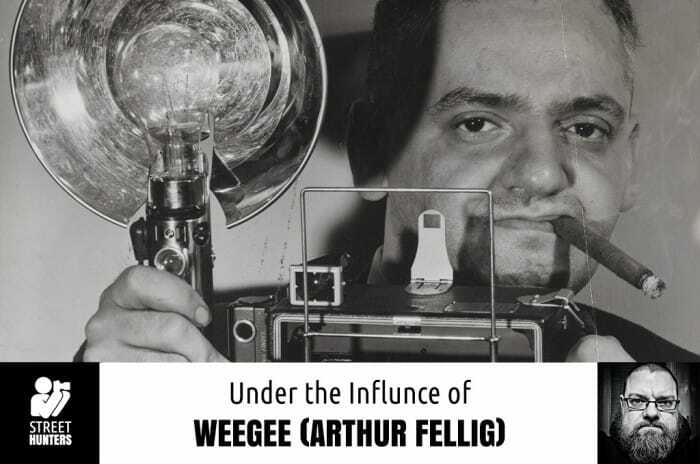 In closing, let’s look at Arthur Fellig’s pseudonym itself… Weegee. It’s rumoured that Weegee is a play on Ouija, as in Ouija board. That he got the nickname from his uncanny ability to arrive at crime scenes before the authorities, only minutes after they were reported. And this was before he had a police radio! Maybe it’s more than being prepared? Maybe it takes a little psychic know-how? Stay sharp and keep shooting! Inside Wilson Ho’s Camera bag!